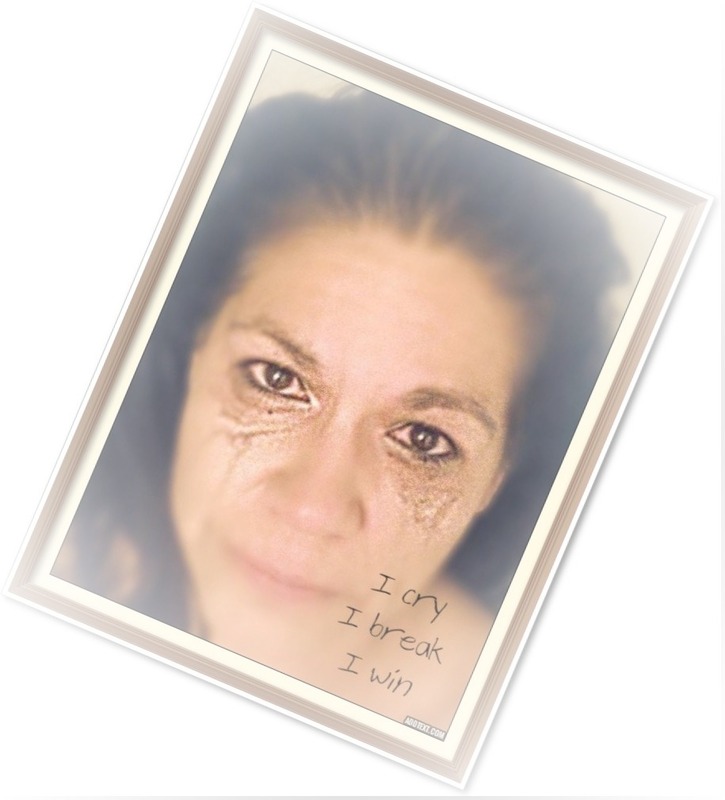 behindhersmile -- "Beautifully 40 Something" : I Motherf'ing Won!! Sculpted together with forgotten tears. Cracks held with shattered dreams. With broken promises and unforgiven lies. My inside screams, "I can't get out!" Do I even know who she is? Running, spiraling with nowhere to go. I am the fire deep inside you. The one just beyond the ache you swallow. No more the girl who shrugs the pain away. I carry this to the core of my center. To where the universe dies. It waits eagerly when I'm pushed to the edge. Pushed to face the ugly. The ugly I love and hate. Willing the other to ebb. My shine competes with wild abandon. Swept away as you cling to that which you know. The darkness you choose to see. I shower off the ugliness left behind in my pores. Bathe beneath the scalding heat. I must suppress the pain. Scrub the tinders burning just below my skin. My enemy I hold in the bed of my palm. Imagine the passage it creates. The crimson river of release. The moment demons can claw through armor. I can't hear my screams! I have triumphed over your squeeze. This I've done for a thousand days. I watch it fall to the soaking tile. You can never comprehend this hushed destruction. Never know why I beg for your grace. You can see clearly when I lose myself. You watch me fall with nowhere to go. I only run from myself. Until I can wash this body clean. And face that silver tug again. A celebration not for us. Lost pieces of me and pieces of you. Regret envelopes me in the dark. Willing you to call and knowing that you won't. It will not pierce this naked skin.